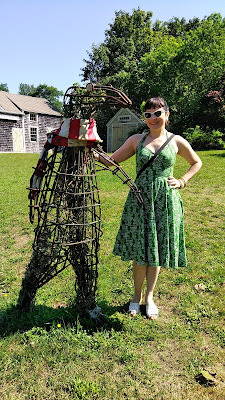 Working our way back from our recent Salem, MA road trip (You can read about Salem part 1 and part 2) we took a detour to Cape Cod and The Edward Gorey House Museum in Yarmouth Port, MA. 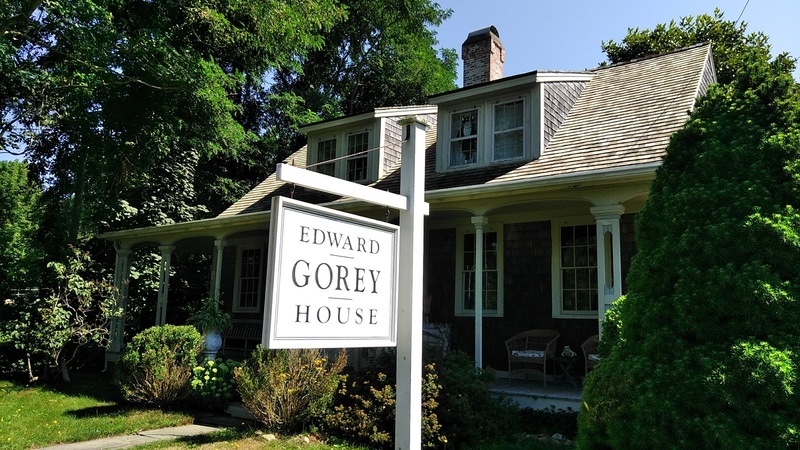 For those of you that don't know Gorey, he's an artist, illustrator, writer, and collector that's most iconic works are the opening sequence of Mystery! 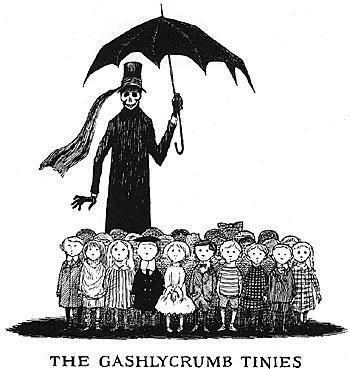 on PBS or for his abecedarian book The Gashlycrumb Tinies which showcases the death of children named alphabetically. Morbid, I know, but there's more to him than that. I've been wanting to come to The Edward Gorey House since it first opened in 2002. 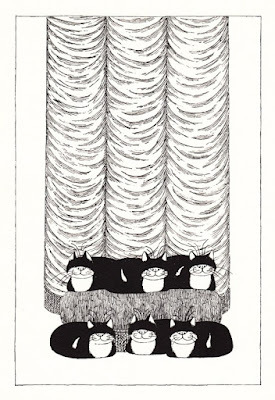 Gorey's sarcasm and black comedy approach to drawing and writing is what attracted me to his style. I wrote my Master's thesis on The Gashlycrumb Tinies and how the children's deaths in the book relate to the Victorian idea of death and mourning. 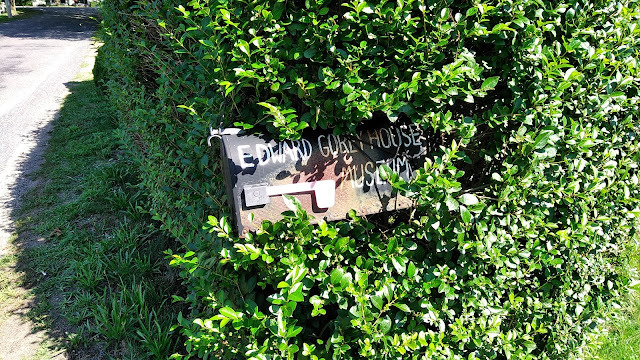 While I had to do a lot of research, I always felt that I would understand him better by seeing where he worked. My master's thesis from 2002. The Edward Gorey House Museum is his old house that he lived and worked in until his death in 2000. It has a large backyard, wraparound porch, and lots of windows and light. 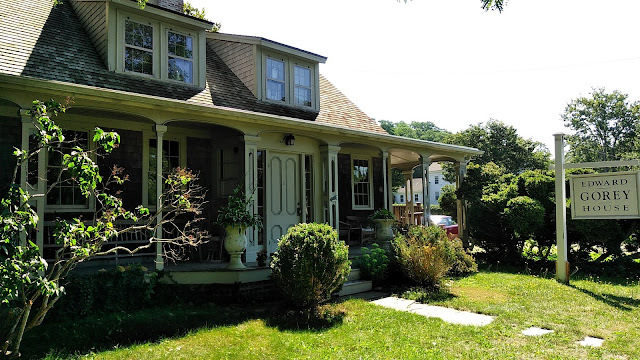 It's bright and welcoming. We took a docent tour and there's even a scavenger hunt within the museum. 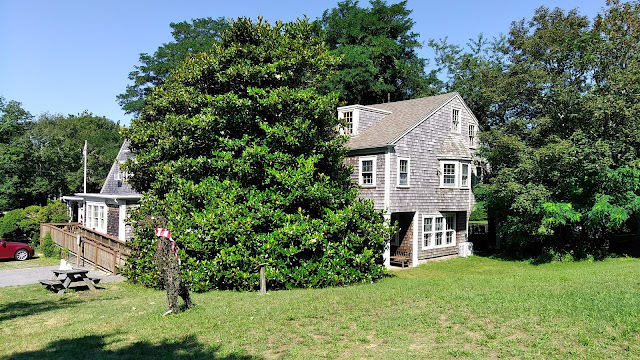 The house itself isn't that big and you can't go up stairs, but they have lots of items on display from his personal collection. 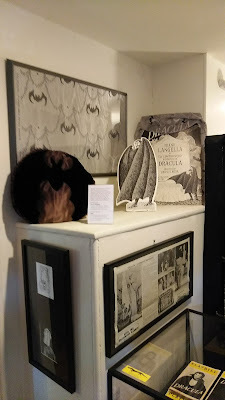 Dracula room with bat wallpaper at the Edward Gorey House vs. my living room. More from the Dracula room. 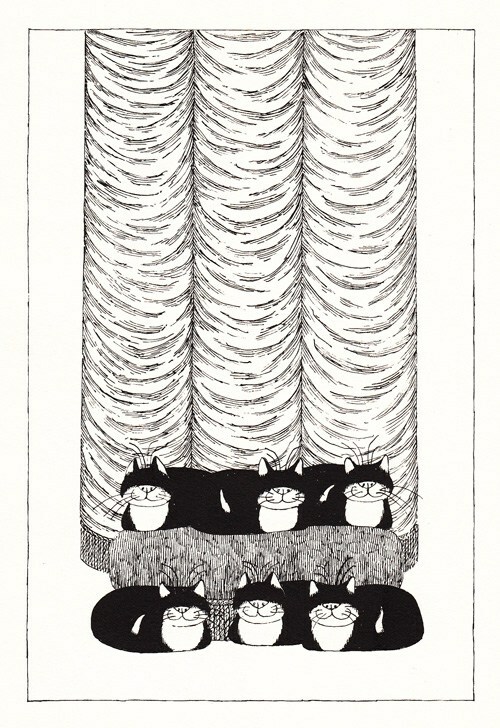 Edward Gorey was a HUGE animal advocate. 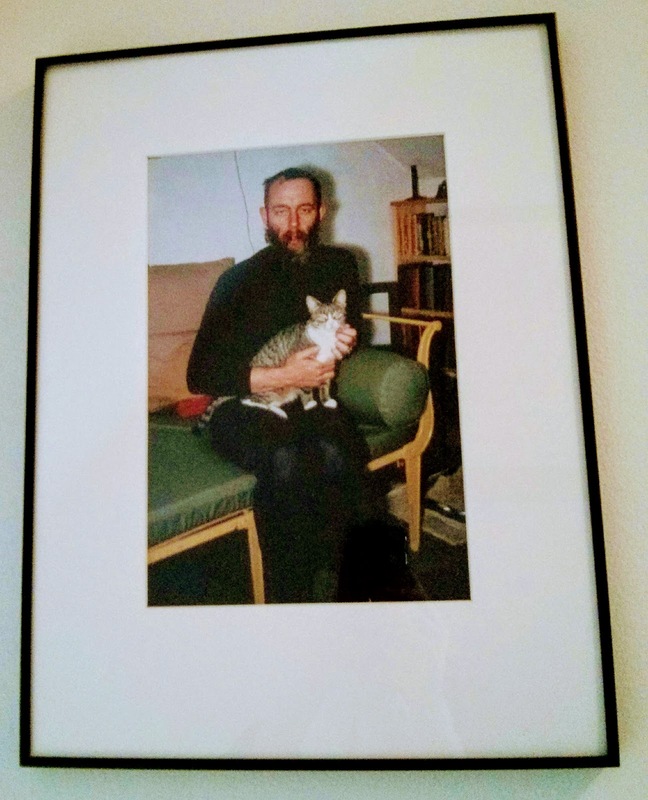 At one point he had six cats (He always said "seven is too many") and drew cats often. 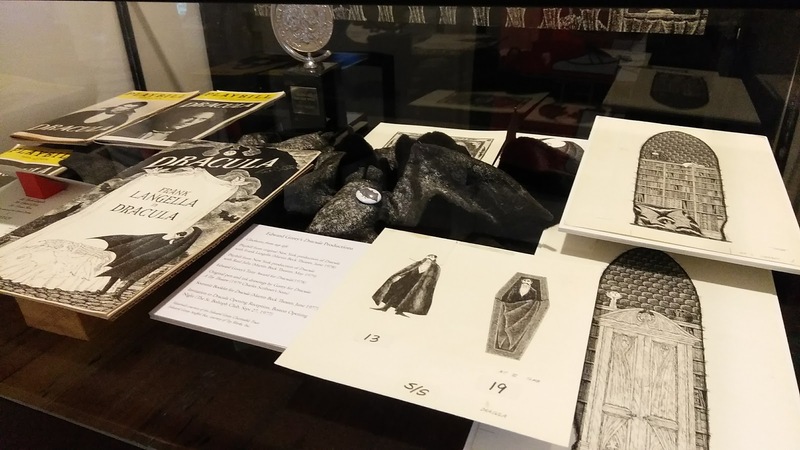 A portion of admission and sales in the gift shop are donated to national animal welfare organizations through the Edward Gorey Charitable Trust. You can see the list of organizations of their website. 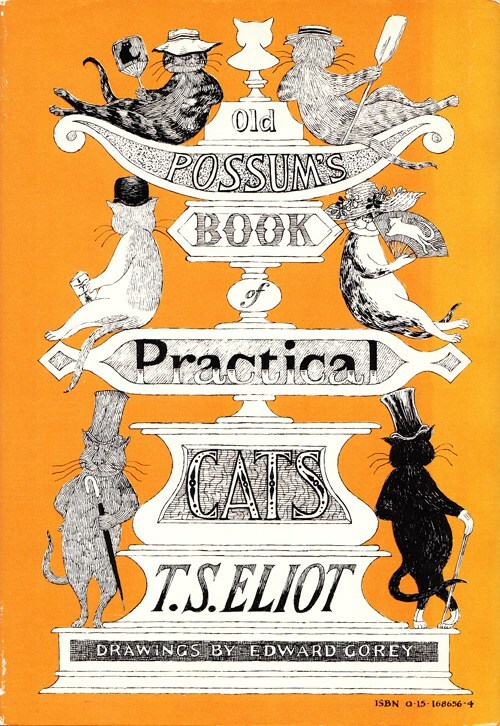 Gorey illustrated Old Possum's Book of Practical Cats by T.S. 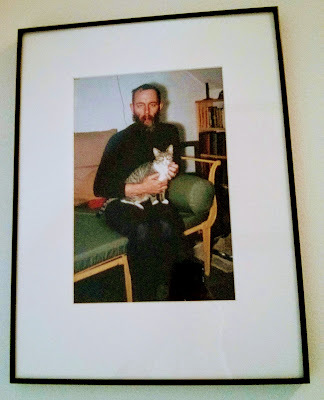 Eliot 1982 edition. 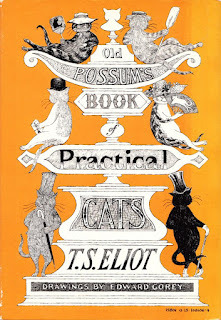 A book that was the basis of the musical Cats! Edward Gorey parallels my love of animals (esp cats) combined with subtly creepy. 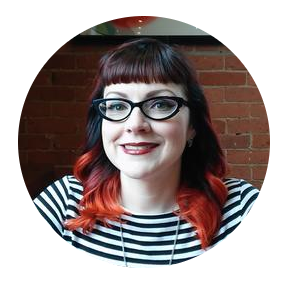 He translates my thoughts into pen and ink drawings in a way I would never be capable of. He will always be the artist I wish I got to meet, but he continues to inspire me and still makes me laugh. 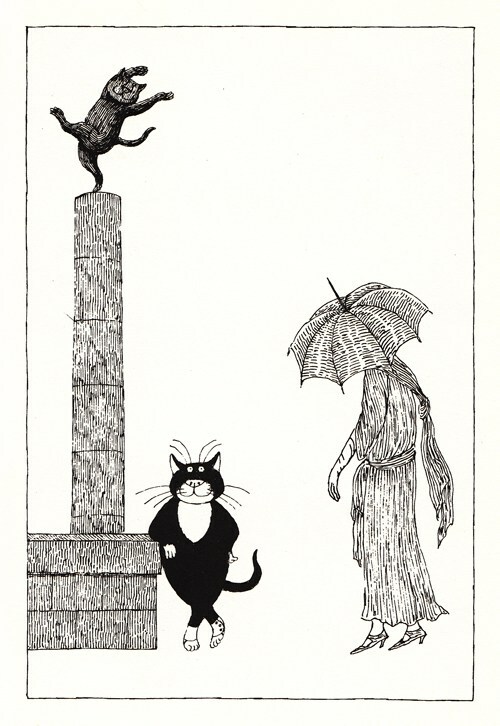 Gorey drawings from Old Possum's Book of Practical Cats by T.S. Eliot. I have that version of TS Eliot!! The illustrations match the poems so perfectly. 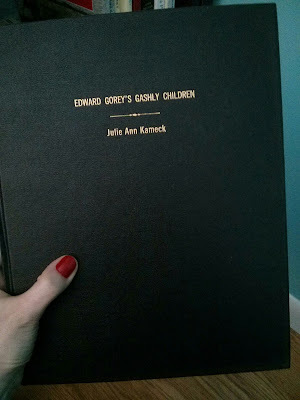 I had no idea that was Gorey's work. But now I totally see it. 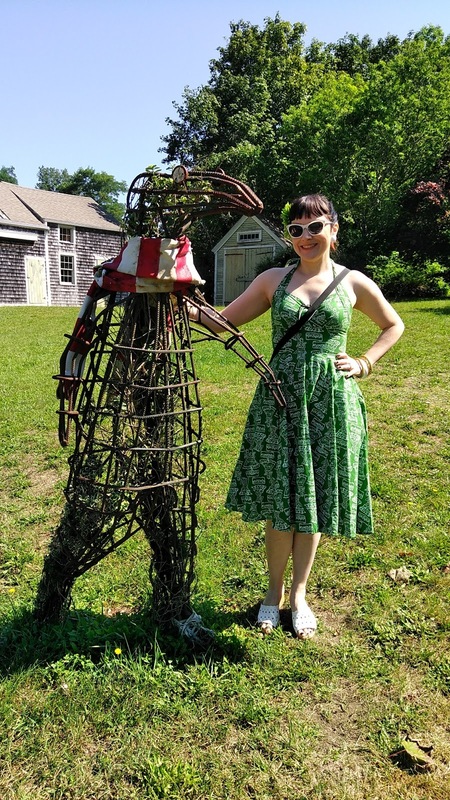 If you ever want to part with it, I'm your girl!